I received your statement “Reclaiming our Heritage: Statement condemning the attack on classical musical expression in south India” for endorsement. As you are aware, I grew up immersed in (or force fed) Carnatic music for the first 20 years of my life. I have attended perhaps a thousand concerts in that period, not all out of choice. Long before I came to an age of being able to think and question, I felt I was entering a stifling bubble every time I stepped into a concert hall. It wouldn’t matter if the ‘hall’ was open or closed;a sabha, temple, or school. 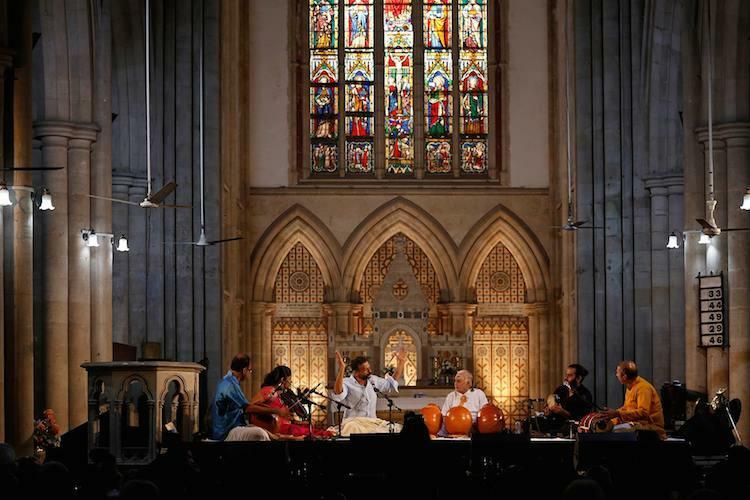 The experience of sitting in a Carnatic concert was plain stifling. I figured later, that bubble was called Brahmanism. It was about that time that I had also shifted to Jaipur. Now, some 20 more years have gone by, and in this duration, I have not changed my opinion nor felt compelled to go back to the codified art form of carnatic music. I don’t think I ever will. It is against this personal context, and perhaps with my limited understanding of arts and their histories, that I would still like to set out here why I would not like to endorse this statement. Any attack on freedom of expression or art and the violence of bigoted forces is certainly to be condemned. But this statement is not truthful to the realities of Carnatic musicians; it presents a sanitised version of this ‘heritage.’ It leaves me asking – whose cause am I endorsing this for? First, to say that Carnatic music has a syncretic tradition is a stretch. While the origins of Carnatic music, and all Indian classical music, could probably be traced to communities who are totally disassociated with these art forms today, the post 18thcentury Carnatic musicians forged ahead in completely brahmanising the art form. That would be similar to how rock music was transformed into ‘white music’ over the years, when its origins were Afro-American. Even that acknowledgement has never come from Carnatic musicians as a group, which is a shame. By and large, those who popularized Carnatic music in south India in recent history –to bring it to the form it is in today — in their ‘divine perceptions’ of music, have been deeply rooted in Hindu, Vedic and Manu-ordained Brahmanism. It was ingrained in theways they lived their lives, reflected in the lyrics they set their music to. Their audiences – till date – largely belong to the same conservative brahmanical mindset.They may, of late,wear the façade of liberated views,but will still follow the two-tumbler system in their homes for their maids, make them clean their toilets but not let them use them. The exceptions in this Carnatic ‘tradition’ do not make the rule. So when you project Carnatic music as moulded by musicians over time, as having been terribly inclusive, leaving out all these facts, it is misleading. Second, how many Dalits identify Carnatic music as their heritage? It is not their heritage,and if there ever was a chance, it was certainly snatched away from them. All the musicians named in this statement, and the entire tribe of Brahman classical musicians, are complicit.And I don’t think the Dalits are missing anything; they have their own prolific heritage and many glorious art forms to be proud of. However, while you are taking up the cause for brahman musicians to perform Carnatic music in free form across the world, there are so many talented dalit musicians who are in oblivion because of lack of platforms. We do not see such involved statements or deeper research published on these aspects from you, on these causes. According to this media report, even the Casteless Collective in Chennai – the brainchild of the renowned Dalit film director PaRanjith and Neelam Cultural Centre, along with music producer Tenma – has been denied spaces to perform in prominent elitist places in Chennai. Has there been any hue and cry over this from this “concerned group” of citizens, or from the brahmanical media, which dedicates reams to the everyday musings of brahman musicians like TM Krishna and his experiments? What could be the scene for less known dalit musicians? So please do not try to present Carnatic music as a happy confluence that respectfully accommodated different traditions and layers of society;as some universalkind of music. It was no such inclusive spectrum. Dalit and non-brahmin forms of art have sprung from their own histories and references. They cannot be homogenized under the umbrella of Carnatic music. All art is political; the politics of a Brahmin cannot be the politics of a Dalit, and vice versa. Even this statement reflects that. Carnatic music has another shameful heritage; the hegemony of men over women. The “devadasis” who took to and performed classical south Indian music defied the mainstream tradition, and even then, stalwarts like M S Subbalakshmiwere stifled by the double hegemony of brahminism and patriarchy and forced to fall in line. Till date, is Carnatic music as it stands equal for men and women? Can women musicians please come out and talk more about that? Then we will decide how proud we have to be of this heritage. It is a fact that Hindustani musicians were far more open to the assimilation of various cultural, religious and philosophical streams of thought, and that is how that music evolved, and can be considered far more syncretic than the classical carnatic music. But even here, there are irreconcilable realities. Third, the musicians named – O S Arun and Nityashree Mahadevan – have hurriedly withdrawn from the battleground. O S Arun cancelled his concert called by Samuel Joseph, and Nityashree Mahadevan has apologized for “hurting people’s sentiments inadvertently”. So this effectively seems to be TM Krishna’s lone battle that you have called upon us to endorse. I do not understand at this point, what TM Krishna was doing accepting a concert at the Sri Siva Vishnu Temple in Washington – that upholds the Manu shastras – as a self-styled liberator of Carnatic music from the clutches of Brahmanism. It even leads me to demand disclosure as to how many such temple concerts has he been performing, even as he has been talking incessantly of equality in art forms in the vast clutch of the brahmanical media. As one who looks up to Ambedkar’s values as my life’s guiding principles, I can never endorse a statement that asks to uphold a brahman musician’s right to sing in a brahman temple. Brahmans ought to stop feeling virtuous about fighting their own demons, or feeling deserving of praise, accolades, and endorsements, because in the 21st century, doing so is simply something that is long, long overdue. I cannot make up my mind who is worse – the deluded conservative brahman who lives in denial and refuses to admit to his inglorious heritage, or the ‘enlightened’ brahman, who rides on his refreshed status to further his Brahmanism. So in all, I am not sure for whose cause you are raising your voice for through this misleading statement, or for whom the signatories of this statement have signed up for. A more truthful way to begin this statement would have beento state upfront that Carnatic music and musicians have been completely cooptedin the propagation ofHinduism, and over the years, cozied up to the narrow Hindutva and saffornisation agenda of this country. If this is happening now, it is the price Carnatic musicians have to pay, and I am unable to feel sorry for them. Only self-righteous and so called progressive Brahmans can feel empathy for this lot. The rest, I conjecture,may have signed in ignorance. You say you are a believer in democracy, and this being a public cause, I request you to circulate my response to all the signatories of this statement, as well as all those to whom this statement went out for endorsement. Excellent article written with immense intellectual courage. The people who are not familiar with the rencent history of Tamil Nadu may likely to know that the Self Respect movement led by Periyar as well as many Tamil enthusiasts who were not part of it and where even believers in god and religion had been fighting in the 1940s for inlcusion of Tamil songs in Carnatic music concerts. The Music Academy in Chennai was vehemently opposed to that demand.Tamil was and to a large extent even today is considered a Neecha Basha by a large of number of Brahmins, particularly the Carnatic vocalists. Periyar asked them whether their God, who is supposed to be all knwoing would not understand the hymns and keerthanas if they were sung in Tamil. Even after a long battle today we see, a few Tamil songs, almost all of them religious in nature are sung at the fag end of the carnatic concerts as if to give alms to the begging Tamil Rasikas. Abraham Pandithar, an expert in music, had at the turn of the last century produced a great work ‘ Karnamairtha Sagram’ in which he had provided a wealth of information about the Tamil origin of the Carnatic music. Just as the Brahmins appropriated ‘Bharatha Natyam’ from the non-Brahmin Devadasis, so was the Carnatic music. Any music, many anthropologists and historians, have pointed out has the origin from the labouring masses. The Music and Work went together hand by hand. It is time a scientific and historical inquiry into the origin of Indian Classical music as it exists today in its varied form.